Patton's pivotal stature and vaunted musicianship inspired renowned guitar virtuoso John Fahey to undertake a fact-finding journey to Mississippi in 1958. His book Charley Patton was published in 1970. 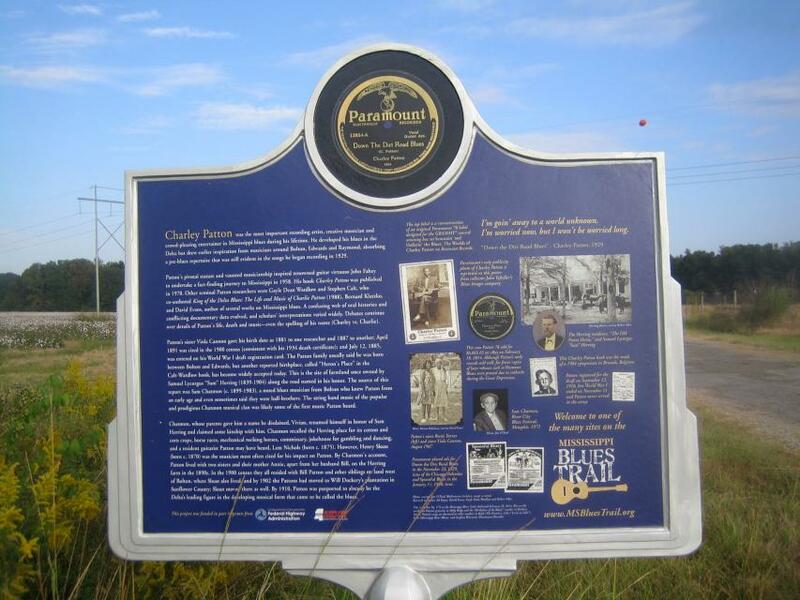 Other seminal Patton researchers were Gayle Dean Wardlow and Stephen Calt, who co-authored King of the Delta Blues: The Life and Music of Charlie Patton (1988), Bernard Klatzko, and David Evans, author of several works on Mississippi blues. A confusing web of oral histories and conflicting documentary data evolved, and scholars' interpretations varied widely. 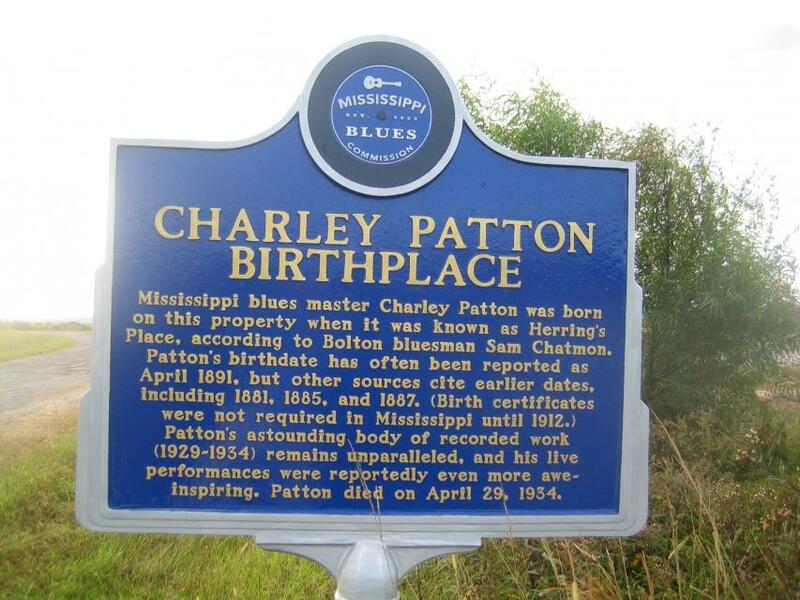 Debates continue over details of Patton's life, death and music—even the spelling of his name (Charley vs. Charlie). This marker can also be identified by its HM code. You can use the hashtag #HM1IMF in tweets, and any other place where you might refer to this marker, including when searching on this site.